I made a few crochet stars for the 4th of July! Originally, I planned to make a whole bunch of them for a bunting to hang over my mantelpiece. When I finished three stars I decided to see what they are going to look like. Quite nice! Moreover, I think three would be enough. Perhaps next year I’ll make a few more. I pulled out my red-white-and-blue doily that I made last year (the pattern is here), and it too found a place on the mantel. I think the stars on one side and the doily on the other would be sufficient. I might add a couple of more decorations to the middle, but not crochet ones. Everything should be in moderation! 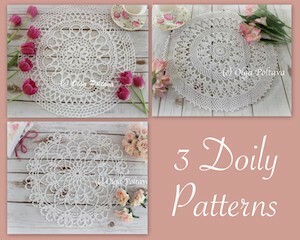 The pattern is very simple and only has four rounds. I used 1.25 mm hook and size 10 cotton thread (except for the red, which is an acrylic thread as I didn't have red cotton on hand). Round 1: ch 6, *dc, ch 3* four times; join with sl st to 3rd ch of beg ch-6. Round 2: sl st in next ch-3 space, ch 3, (2 dc, ch 3, 3 dc) all in same ch-3 space, *(3 dc, ch 3, 3 dc) all in next ch-3 space* four times; join with sl st to 3rd ch of beg ch-3. Round 3: sl st in next dc, ch 3, dc in next dc, (3 dc, ch 3, 3 dc) all in next ch-3 space, dc in next 2 dc, skip 2 dc, *dc in next 2 dc, (3 dc, ch 3, 3 dc) all in next ch-3 space, dc in next 2 dc, skip 2 dc* four times; join with sl st to 3rd ch of beg ch-3. Round 4: sl st in next dc, ch 3, dc in next 3 dc, (3 dc, ch 3, 3 dc) all in next ch-3 space, dc in next 4 dc, skip 2 dc, *dc in next 4 dc, (3 dc, ch 3, 3 dc) all in next ch-3 space, dc in next 4 dc, skip 2 dc* four times; join with sl st to 3rd ch of beg ch-3. Kathryn Vercillo, a crochet blogger from San Francisco and author of the book Crochet Saved My Life, asked me to help her spread the word about a crochet health survey that has been launched recently. 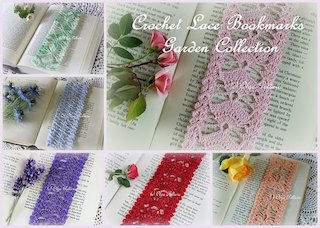 To read the press release or take the survey, please visit Crochet Concupiscence. 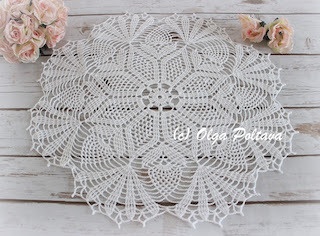 Today I want to share a free vintage pattern for a gorgeous tablecloth called Star Wheel #744. 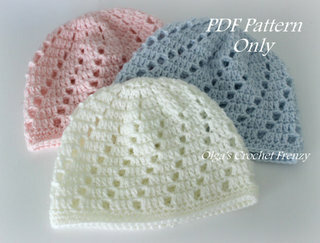 The pattern comes from The Spool Cotton Company Book #123, New Ideas in Crochet, Table Topics, 1938. 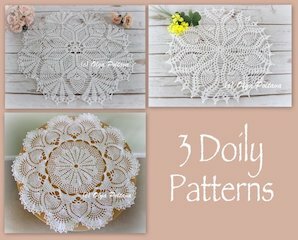 It’s been a long time since 1938, but nonetheless I believe this pattern would be exciting and of great interest to thread crochet masters in our time! 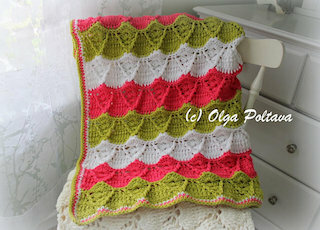 I made the motif using size ten crochet cotton thread and 1.3 mm hook. My motif came out 5.5 inches in diameter. The pattern was easy enough to follow. The only challenge was the 2nd round; I had to read it very carefully a couple of times before I got it. I repost the pattern exactly as it appears in the original publication. Clark’s O.N.T. Mercerized Crochet, 74 balls. J. & P. Coats Mercerized Crochet, 53 balls. J. & P. Coats Big Ball Best Six Cord Mercerized Crochet, 31 balls. Milward’s steel crochet hook number 9 or 10. 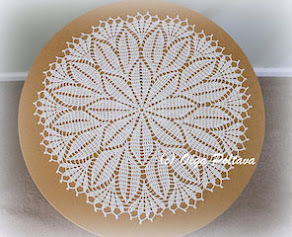 Gauge: One large motif measures 4.25 inches in diameter and requires about 25 yards of thread. 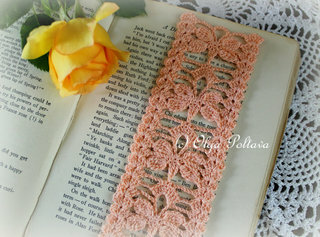 Each fill-in-lace requires about 4 yards of thread. When completed, tablecloth measures about 68 x 85 inches. Make 320 large motifs, then join them together as explained later. Motif… Ch 10 and join with sl st to form ring. 1st rnd: Ch 3, 23 dc in ring. Join with sl st to 3rd st of ch-3 first made. 2nd rnd: Ch 10, and complete a cross st as follows: Thread over twice, insert hook in 8th ch from hook, draw thread through (4 loops on hook), thread over once, skip 1 dc and insert hook in next dc, draw thread through (6 loops on hook), thread over, and take off 2 loops at a time, 5 times. *Ch 3, thread over 4 times, insert hook in next dc and draw thread through (6 loops on hook), thread over, and take off 2 loops at a time, then thread over, skip 1 dc, insert hook in next, draw thread through (6 loops on hook), thread over, and take off 2 loops at a time, 5 times. Ch 3, dc in center point of the cross, thus completing the cross. Repeat from * until there are 8 cross sts around the circle. Join last ch-3 with sl st to 7th st of ch-10 first made. 3rd rnd: 5 sc in each sp. 4th to 7th rnds incl: Sc in each sc of previous rnd. 8th rnd: Ch 4, dc in 1st sc, * ch 1, dc in next sc, repeat from * to end of rnd. Then ch 1, and join with sl stto 3rd st of ch-4 first made. 9th rnd: Ch 10, and complete cross st as before, skipping 2 dc between each leg of cross st and inserting hook under ch-1 sp. Ch 3 between each cross st. Skip 2 dc between each cross st. Repeat around (20 cross sts) and join last ch-3 with sl st to 7th st of ch-10 first made. 10th rnd: Sl st in 1st 2 sts of first sp, ch 5, *dc in same space, ch 3, sc in next sp, ch 3, dc in next sp, ch 2, repeat from * to end or rnd. Join last ch 3 with sl st to 3rd st of ch-5 first made. 11th rnd: Ch 6, dc in same sp, * ch 4, sc in next sc of previous rnd, ch 4, dc in next ch-2 sp, ch 3, dc in same sp, repeat from * to end of rnd, joining with sl st to 3rd st of ch-6 first made. To join motifs… Place motifs in position (16 x 20 motifs). With over-and-over stitches, sew 3 points of one motif to corresponding 3 points of the adjacent motif (thus leaving 2 points free on each motif). 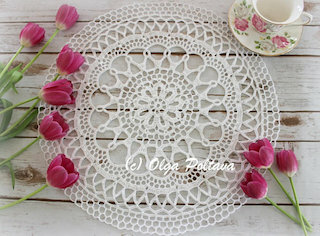 To make fill-in lace between the motifs, ch 4, join with sl st to form ring. ** Ch 15, sc at joining of two motifs, ch 15, sc in center ring, * ch 9, sc in point of next scallop, ch 9, sc in center ring, repeat from * once more. Then repeat from ** 3 more times. This completes the fill-in lace. Break off thread. Hello crafty friends, what are you up to this week? We have beautiful summer days here in California and it’s pleasant to sit outside in the late afternoon, when the sun is not as hot, and sip lemonade or iced tea. I decided to make a bunch of cute coasters to enhance this relaxing pastime. I have made three so far, and I hope to make the complete set by the end of this week. 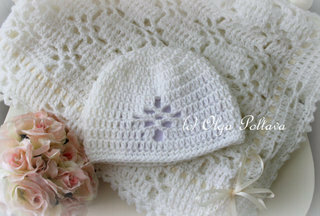 The free pattern was from Anabelia Craft Accessories blog. It’s a symbol chart that is very easy to follow. 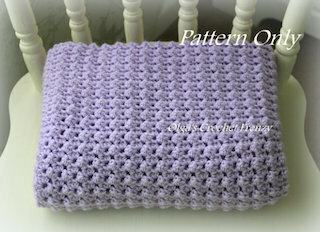 Huge thanks to the author for sharing the pattern! I’m using the same colors as the ones that were used in the original pattern. I just love how my coasters are turning out. I think they have a romantic shabby chic look. Thank you so much for your kind comments on my previous post. I hope you are enjoying your week! 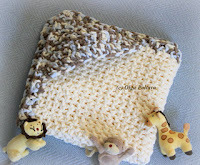 This baby blanket is very simple to make, and someone who knows how to crochet dc, sc, and ch could probably make it without a pattern. 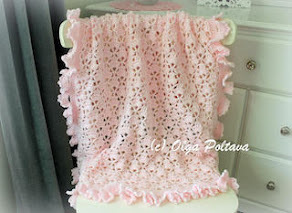 Despite its plainness, this blanket looks delicate and is very nice to touch. 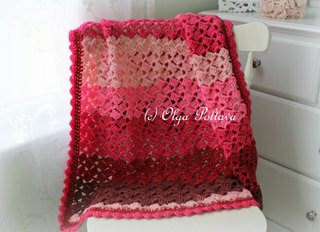 The yarn that I used (Beehive Baby Sport by Patons, Natural Girl) worked very well for this project. For one thing, it’s a blend of acrylic and nylon, which is super soft. In addition to that, the variegated yarn gave this simple pattern a finer look. I started with ch 141. Row 1: dc in 4th ch from hook, dc in each ch across. Row 2: ch 3, turn, dc in next dc, *ch 1, skip next dc, dc in next dc* across, dc in turning ch. Row 3: ch 3, turn, dc in next dc, *dc in next ch, dc in next dc* across, dc in turning ch. Repeat Row 2 – Row 3 until the blanket is about 32 inches long. Trim is quite simple, it’s only one round of double crochets: 4 dc in corner spaces, and 2 dc in ends of rows. This pineapple shawl is a gift for my sister-in-law. She lives in Norway, the chilly, rainy, snowy Norway! So I hope this shawl will keep her warm and cozy! 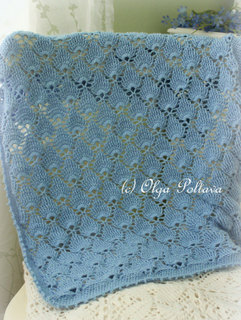 The free pattern is from the Cascade Yarns website. You can see it in PDF format here. I loved this pattern. In addition to written instructions it has good-quality symbol charts (even though I no longer have trouble following most written patterns, symbol charts still would be my preferred option). In the original pattern, Pima cotton was used, but I went with a wool blend yarn. I used Wool-Ease by Lion Brand Yarns. My finished shawl is about the same size as the one in the pattern; however, I did not complete all the rows as my gauge was bigger. I really like that instead of traditional fringe, this shawl has cute round “coins” hanging from chains. They make such an interesting and unusual look. Notice the sweet little cushion made of burlap and lace. 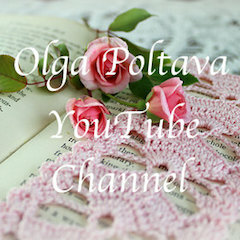 It was made by a blogging friend Stephanie, who writes The Enchanting Rose. Stephanie also has an Etsy shop, where she sells her beautiful creations. 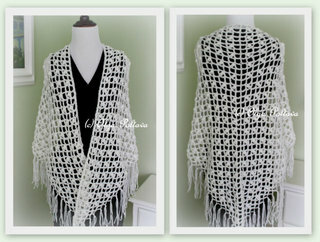 My lovely wicker chair modeled the shawl for you today. That chair was a left-over furniture piece that our previous home owners left for us. How sweet of them! Ahhh, such a cozy little place to read a book or do some needlework.